Alice Miceli received a BA from the Ecole Superieure d'Etudes Cinematographiques, in Paris, France, and a MA from the Pontifical Catholic University of Rio de Janeiro, Brazil. She has had solo exhibitions at Nara Roesler Gallery, in Sao Paulo, and Max Protetch Gallery, in NYC (both 2011), and at the Tomie Ohtake Institute, in Sao Paulo (2013). Her work has been included in numerous group exhibitions such as the Mediations Biennial (2012), Untitled (2012), and the Sao Paulo Biennial (2010). Alice is a recipient of fellowships at the Djerassi Residency Program, the MacDowell Colony and at the Fine Arts Work Center in Provincetown. 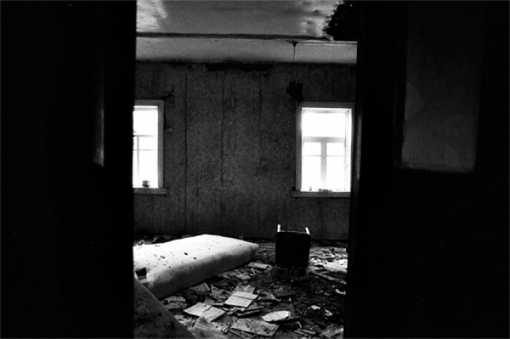 A book of essays and documentary photographs about her work in Chernobyl has been published by Several Pursuits in Berlin and an interview issue by the Skull Sessions in New York.